MPHC (Madhya Pradesh High Court) Has Released Recruitment Notification For 04 Assistant Librarian Posts. All Eligible And Interested Candidates Can Apply Online On Or Before 25-02-2019 (25th February 2019). 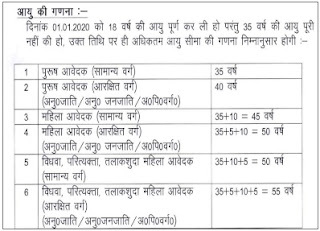 Further Detailed Information Regarding Educational Qualifications, Age Limit, Selection Procedure, Exam Pattern, Syllabus for MPHC (Madhya Pradesh High Court) Recruitment 2019 - 04 Assistant Librarian Post is mentioned below. Pay Scale - Rs. 28,700 - 91,300/- Per month . How To Apply - All Eligible and Interested candidates may fill the online application through official website http://mphc.gov.in before or on 25th February 2019. Starting Date of Online Registration of Application Form Is : 01-02-2019. Online Registration of Application Form Ends On : 25-02-2019. Date of Written Examination : 29-03-2019. Click Here For MPHC Recruitment 2019 Detailed Advertisement.